Benjamin Hubert was inspired by Fritz Hansen's heritage. 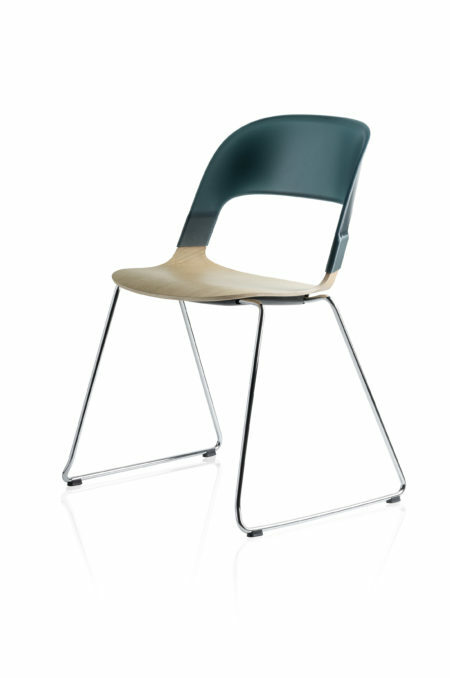 Benjamin Hubert, a young British designer, was the brains behind “Pair”, a stacking chair for traditional Danish brand Fritz Hansen. Fabian Peters met him at the Fritz Hansen stand at Orgatec. 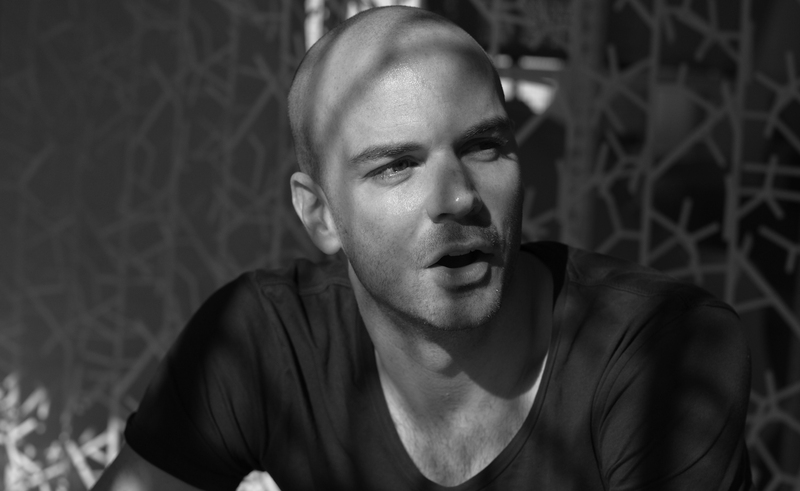 Benjamin Hubert is one of the shooting stars on the design scene. He and his studio “Layer” are very much committed to “social design.” At the same time, in recent years he has repeatedly come up with sensational designs for seating furniture for manufacturers such as Moroso and ClassiCon. 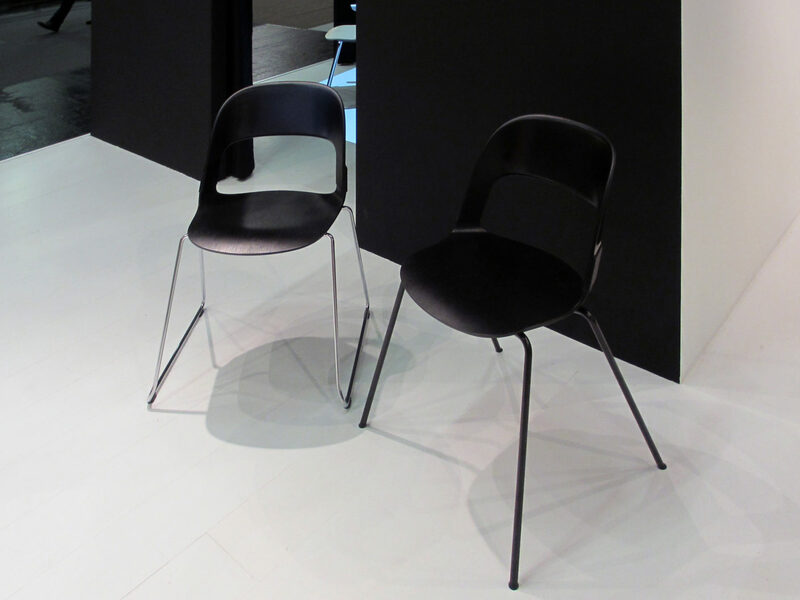 Now Hubert and Danish furniture manufacturer Fritz Hansen have presented their stacking chair “Pair” at Orgatec. 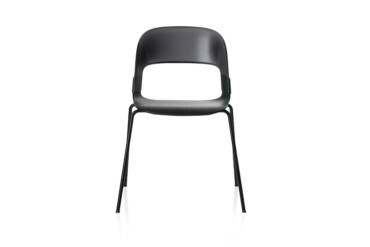 The chair boasts a modular construction which allows customers to choose between different seats, backrests and legs. Its development took three years. And although it is immediately obvious that this must be a Hansen chair, “Pair” is not merely a rehash of earlier models. Fabian Peters met up with Hubert at the Fritz Hansen stand at Orgatec to find out how “Pair” came into being. Fabian Peters: How did your partnership with Fritz Hansen start? Benjamin Hubert: The way that most partnerships start: We sat together drinking coffee for a long time and then at some point Fritz Hansen said: Let’s just do this! So what exactly was your brief? Benjamin Hubert: We were asked to come up with a stacking chair. One with those typical Fritz Hansen plywood seats and the typical Fritz Hansen metal legs. And it wasn’t to be too expensive. Once we had got started on the process we soon hit upon the idea of a modular solution. And how exactly did you set about developing “Pair”? 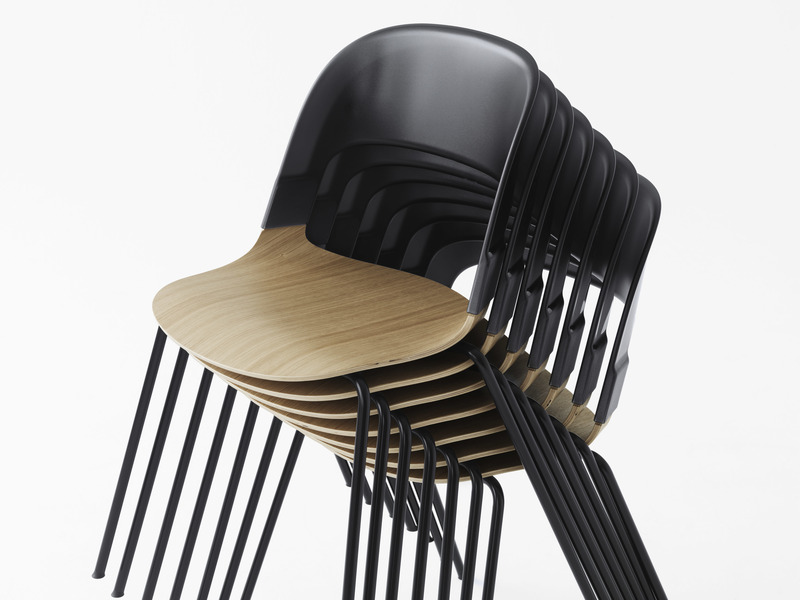 Benjamin Hubert: By trying to create a truly intelligent stacking chair. It’s a tight market with a great many suppliers and products and only a limited number of ways of making yourself stand out. If you focus on shape the product might start to look dated after only a short time. 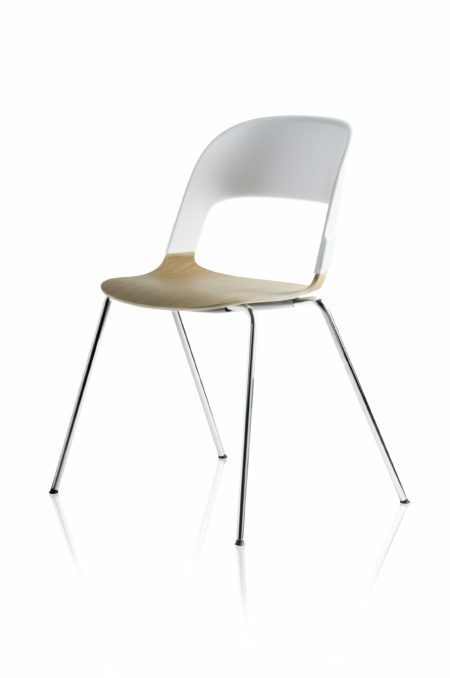 Which is why we went for the functional approach and started developing a modular chair. Practical, stackable: Up to eight “Pair” chairs can be stacked up. 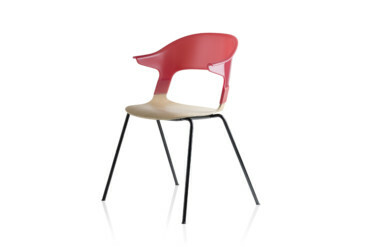 Let’s take a brief look at the chair’s shape: How did that come about? 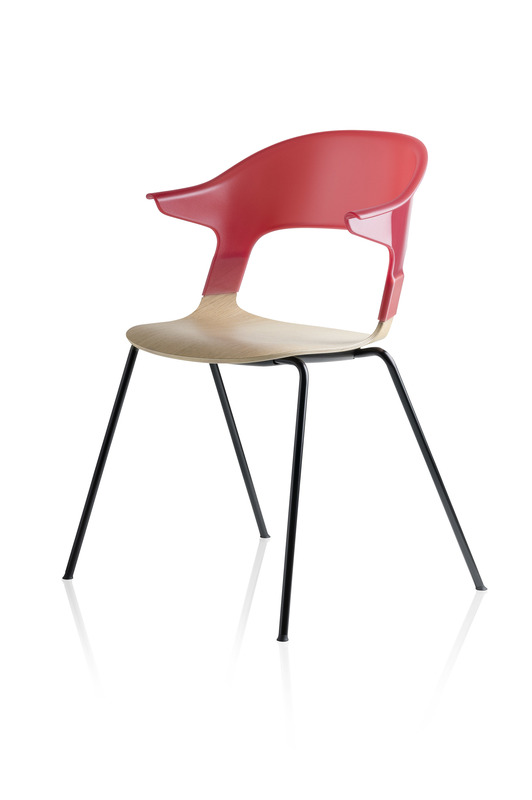 Benjamin Hubert: Its shape is an homage to Fritz Hansen. Hansen products have their own very characteristic stylistic vocabulary. Even though, of course, Fritz Hansen does carry some modern designs, mid-century design has remained more typical of its products. 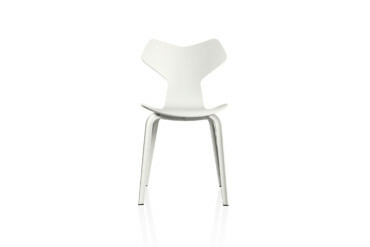 The chair is a tribute to the shapes for which Fritz Hansen is famous. And it is our aim to bring these right up to date through an intelligent combination of materials. It actually took three years to develop the chair. Why so long? Benjamin Hubert: This is a reflection of the way that Fritz Hansen works. They don’t rush anything – unlike other companies that catapult chairs onto the market one after the other, 10 or 20 per year. 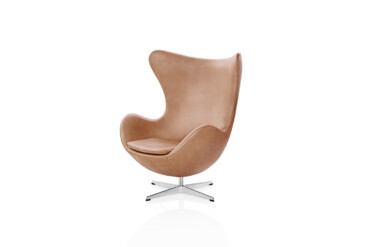 With Fritz Hansen we are talking about just one! Because this company is looking for a high-quality product – one that is ready for the market. Other people put out half-finished prototypes. Our chair is ready to go into production. To give you an example, it has already been extensively tested. And this is another reason why it takes three years to develop a single product. ...or green: „Pair“ is versatile. 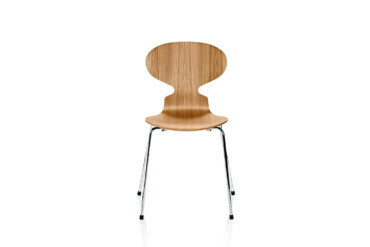 Which Fritz Hansen products influenced you when designing “Pair”? Benjamin Hubert: One of the not insignificant challenges with this project was not losing sight of all the classic Fritz Hansen products, but not copying them either. They did inspire us, but there is not one single shape in “Pair” that we took on board one-to-one. To put it another way, we attempted to transfer Fritz Hansen’s DNA to our chair. 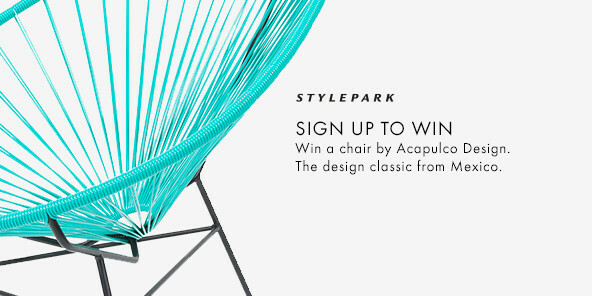 How big a challenge is it to develop a chair for a company for which a once-in-100-years designer such as Arne Jacobsen has designed chairs? Benjamin Hubert: It is never easy working for a company with such an illustrious past. But for us this was a challenge that we were happy to accept. 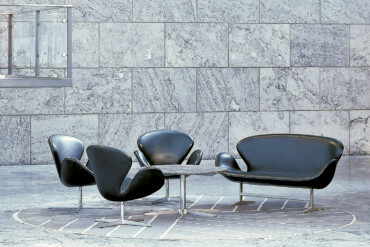 With runners or entirely in black, Fritz Hansen genes are always visible.